Open House 48H Barcelona this weekend! Welcome back! We hope that you have had wonderful time in the Netherlands. 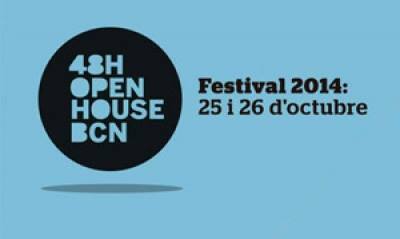 Remember that this weekend is 48H Open House Barcelona and is celebrating its 5th edition! Architecture festival when the most important buildings in the city are opening their doors for free to the citizens with guided tours held by architects. Don’t miss it!